‘Preneed’ or ‘prearrangement’ are terms coined by the funeral industry to describe the arrangement and payment of a funeral prior to death. If you wish the funerals to be in your own way, you should plan in advance of your or a beloved’s death. 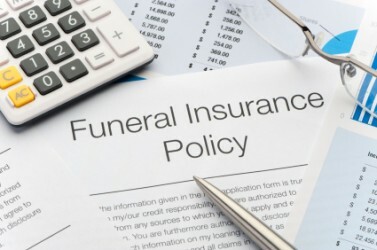 To prefinance the funerals, you may get one of funeral insurances. The marketing of preneed plans for funeral services and merchandise is increasingly prevalent. Everyone connected with the funeral industry is promoting preneed purchases. Various companies, including insurance companies, ‘for-profit cremation societies,’ and ‘preneed associations’ flood the mail with advertising which touts the benefits of their preneed plans. There are a number of pitfalls, as well as options, about which consumers should be well-informed. Funeral Insurance Policies are designed to meet unexpected funeral costs and are only to be paid upon death. Policies only cover death by accident in the first twelve months. When you first take out funeral insurance it may cost less than a cup of coffee a week, but some premiums rise and accumulate as you age. It’s important that you read the fine print and consider your options before making a commitment. As an example, if you take out a $6,000 funeral insurance policy when you’re 60, by the time you’re 75 you may have paid more in premiums than the value of your benefit. And if you live to 90 years of age, you may pay between $64,000 and $84,000 in premiums. We encourage people to ensure they’re making informed decisions on how to pre-finance their funeral by exploring all the options. Do your research and don’t take just one person’s word for it. When faced with having to make funeral arrangements, most people have no prior experience in organizing such an event, and little knowledge of what to do. Accredited Funeral Directors can alleviate this burden for you by providing a range of services, allowing you to choose an appropriate funeral that will be conducted professionally, and with dignity. A funeral is a celebration of one’s life and the role of the Funeral Director is to assist in every way possible to ensure the wishes of the family and the deceased are fulfilled. A Pre-Paid Funeral is where the family and funeral director establish the funeral requisites and services they wish to contract and pay for now at today’s prices, for provision at a future date. The cost of the funeral is fixed, regardless of future price increases. Payment of a pre-paid funeral may be made in one lump sum or through a payment plan. It is important that families are advised of a pre-paid funeral contract and that arrangements have been made in advance. Copies of the pre-paid funeral contract should be provided to members of the family, or filed with the will and other important documents. A Funeral Bond is a special purpose way to set aside money to help cover your eventual funeral costs. Money invested in a bond can only be used for this purpose, and is only paid out on death. Funeral Bonds are a rock-solid investment, backed by a capital guarantee. However, they are also a very flexible and portable investment, which does not tie you to a fixed location. There is a maximum amount that can be invested in a funeral bond, which is indexed annually. Ask your funeral director more information about them.